I love bowls like these! 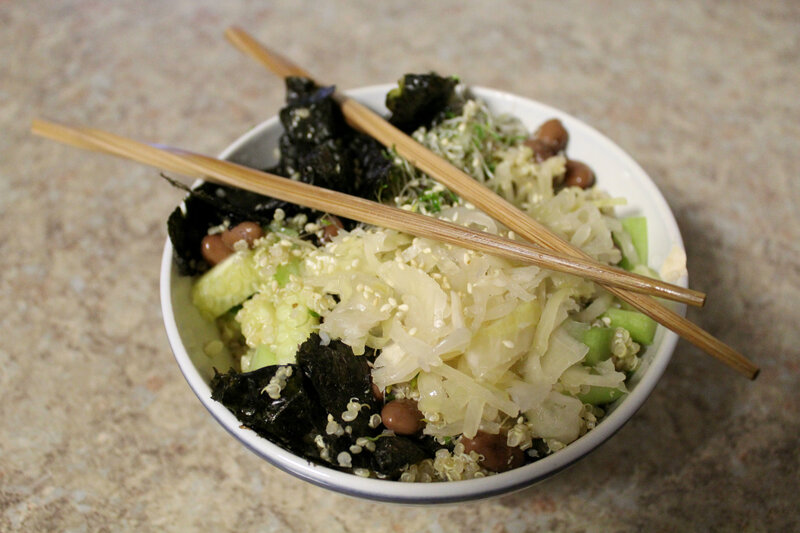 You should try an asian pickle (pickled mustard greens, pickled bamboo shoots, pickled carrots, kimchi), too! 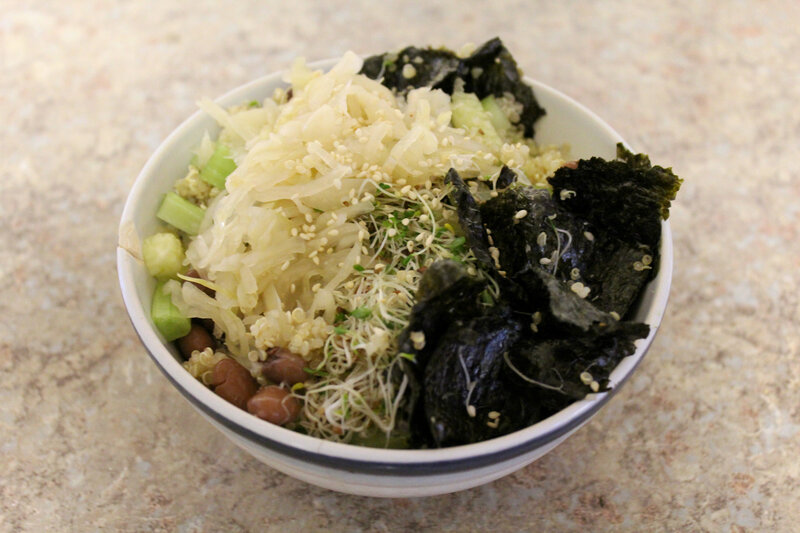 Same macrobiotic benefits. I have always wanted to try Kimchi, but can’t find it at any grocery stores around where I live. I would of course try natto, but unfortunately I have a soy allergy! It looks refreshing tasty! Thanks for linking up to #RECIPEFRIDAY! We make our own sauerkraut and we love. This is a great recipe. Thanks for sharing. If you make your own, can you dramatically decrease the salt? I love this recipe for very personal recipes! 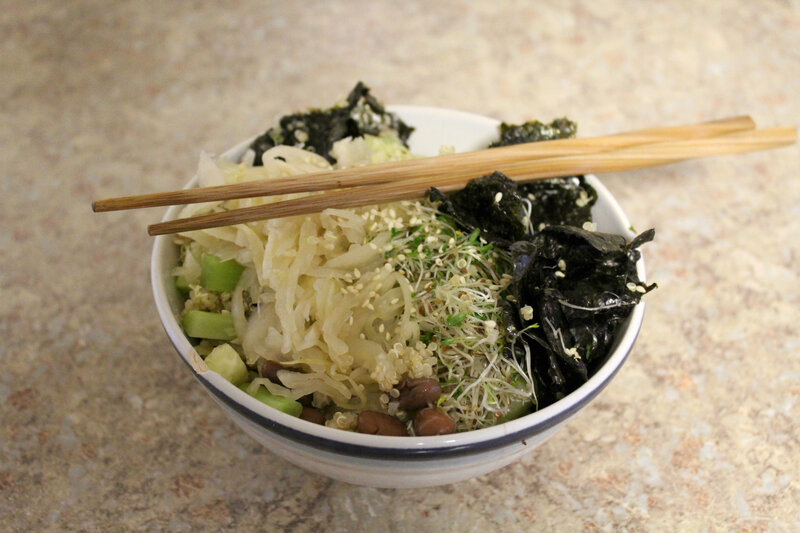 I studied and followed macrobiotic so for years so it is such a pleasure to read recipe for a Macrobiotic Sushi Bowl! What a little bowl of heaven! This is my favorite way to eat! It is so satisfying! Over the years I have had the pleasure of taking classes at the famous Kushi Institute founded by Michio Kushiro, founder of of that macrobiotic center in Massachusetts and I even attended their annual summer Macrobiotic Conference in Vermont! 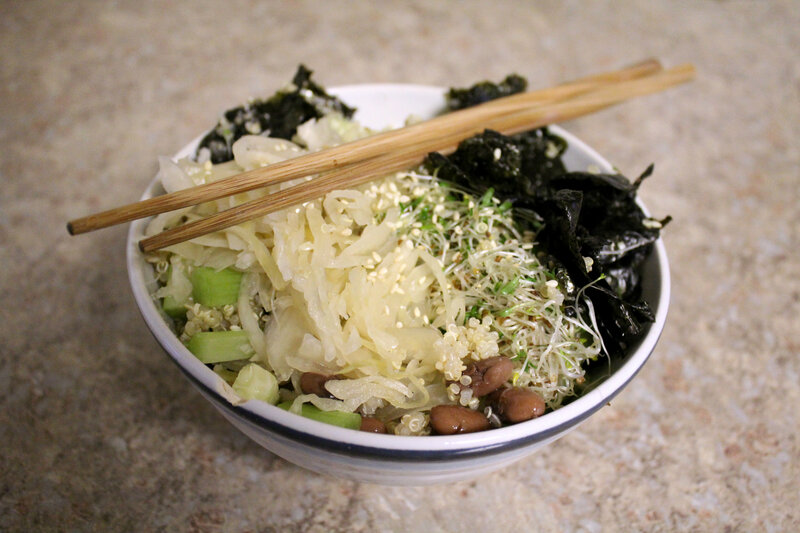 So thank you for sharing this wonderful recipe in the Healthy, Happy, Green and Natural Hop! Have a happy holiday!